Custom toddler pillow sham is made with super soft minky dot and is great for anyone to snuggle with, it also makes a wonderful rocking chair pillow! 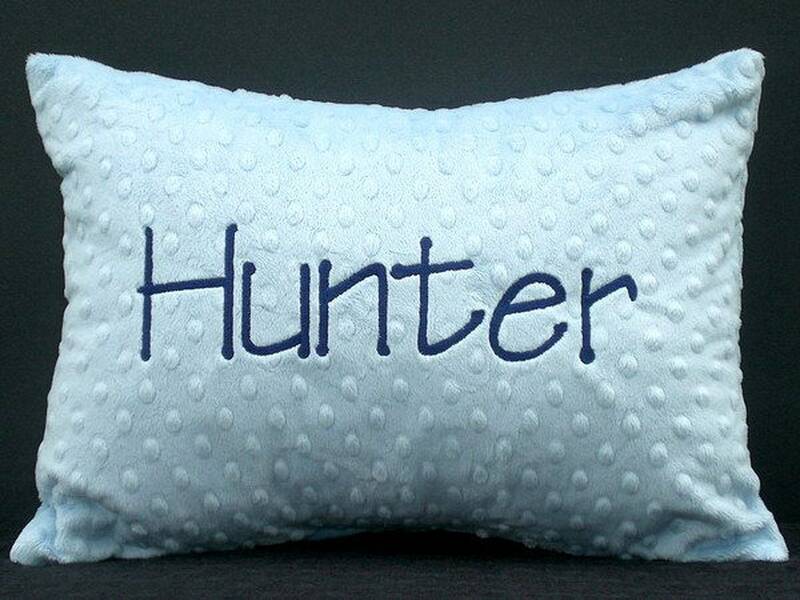 Toddler room décor, naptime at daycare, road trips, etc... Personalize with name, and this makes a perfect gift for new moms! Envelope style sham opens in the back to allow for easy removal of the pillow (which IS included) to wash the cover. Custom toddler pillow with name is perfect for nursery decor, toddler rooms, bedtime, naptime at daycare, and overnight stays at Grandparent's house. Not into any of the colors shown here? No problem...simply tell me your color scheme/room theme and I will do the rest! Beautiful just as shown in pic and delivered so quickly!! !